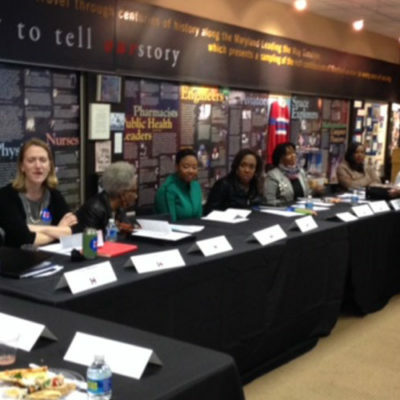 MWHC was invited to present a program during the 2019 Women’s History month celebration to the division meeting of the White House Communication Agency at the Anticostia-Bolling Joint Base in Washington, DC. 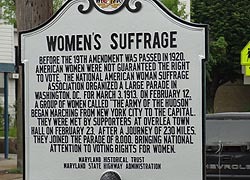 Diana M. Bailey, MWHC Executive Director highlighted many Maryland women who made significant contributions to military history, health, leadership and strategic planning for battle engagement. 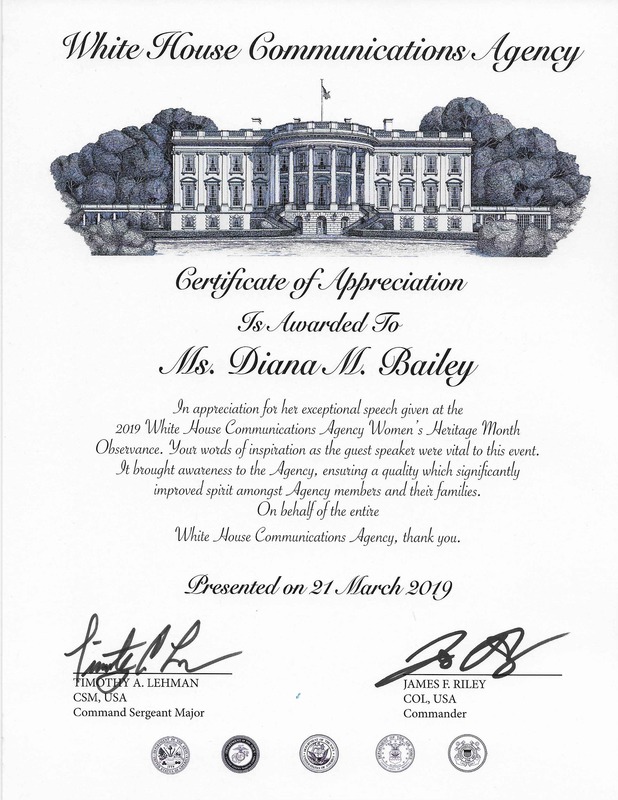 This certificate of Appreciation was awarded to the MWHC by Colonel Lambrecht, Deputy Director of the White House Communication Agency.